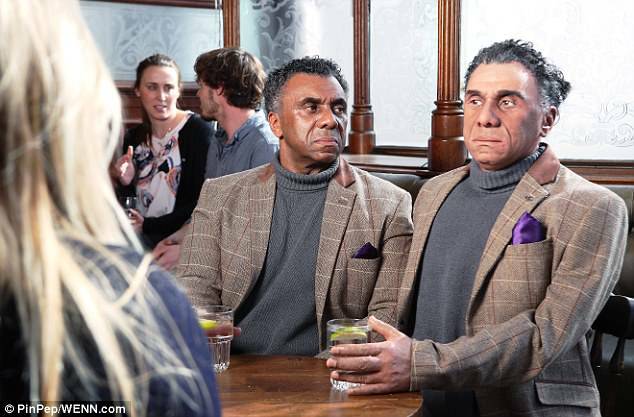 A 'malfunctioning' robot named Fred has terrified drinkers in a London pub by smashing a pint glass while talking about a 'robot invasion'. 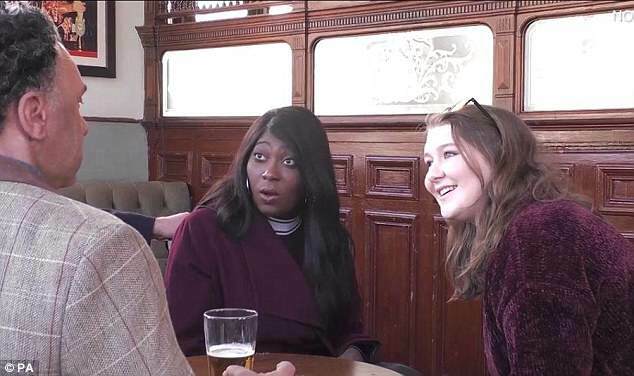 The hyper-realistic automaton, modelled to be an exact replica of London-based actor Tedroy Newell, sat down for a refreshing lager at The Prince Alfred pub in Maida Vale, in the west of the capital. Unsuspecting customers were unprepared for what came next, with the humanoid berating locals before crushing the drinking vessel in his hands. 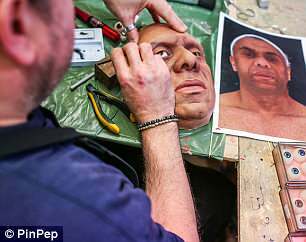 The robot, described as 'indistinguishable from humans', was created as part of a stunt to promote TV Series Westworld. 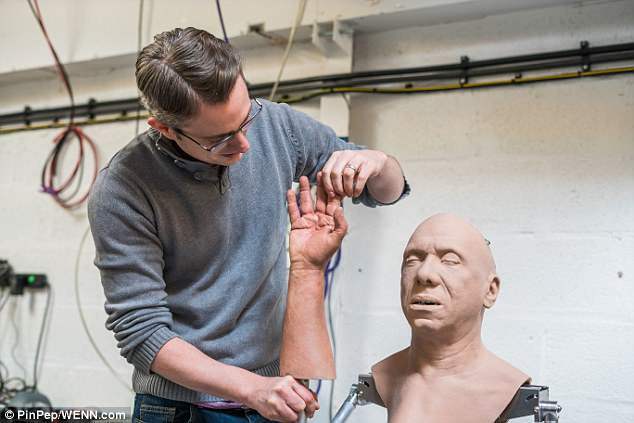 Fred the Robot was built by five engineers from robotics company Engineered Arts, based in Penryn, Cornwall, over twelve weeks. 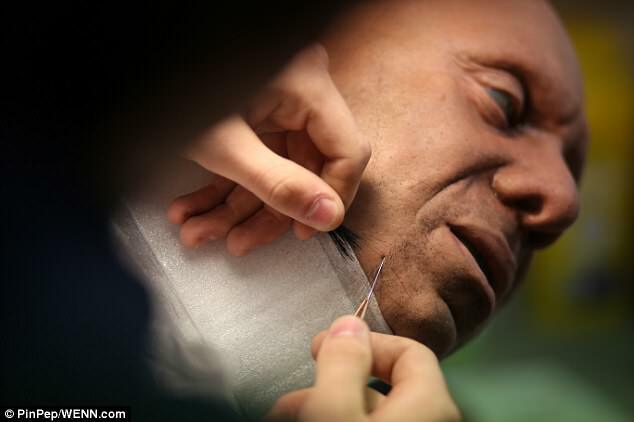 The team developed several hundred thousand lines of computer code and tens of thousands of components, including a sophisticated metal skeleton, silicone skin, real hair and solid acrylic eyes - all 3D-scanned from Tedroy to bring Fred to life. 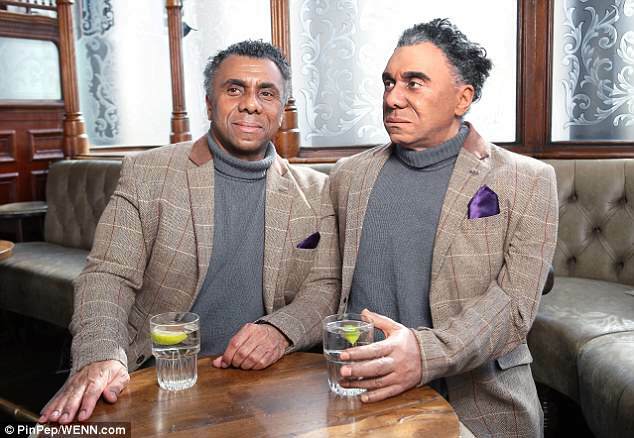 To field test Fred, the London pub was rigged with hidden cameras and Fred was planted in the bar to see if he could beguile the public. Relaxed in the bar, the android struck up conversations with members of the public. 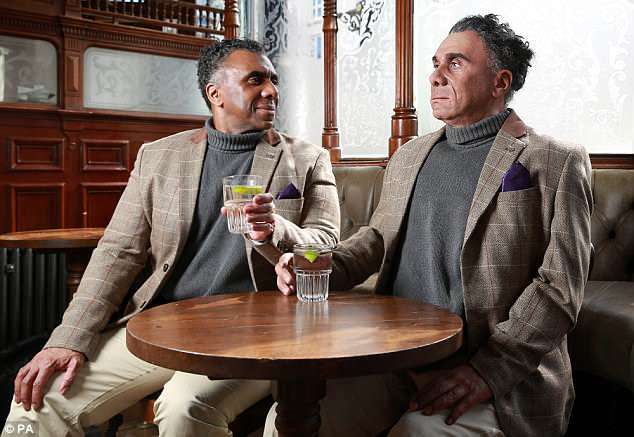 They were then witness to a scheduled 'malfunction', in which Fred began to glitch before dramatically shattering the pint glass. 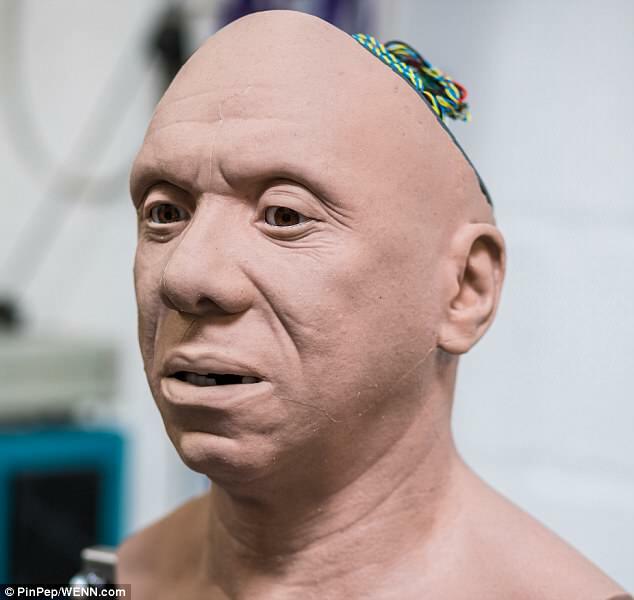 Fred’s human-like interactions were controlled by Engineered Arts’ telepresence system, which uses inbuilt sensors, cameras and microphones to track how people interact with the machine. 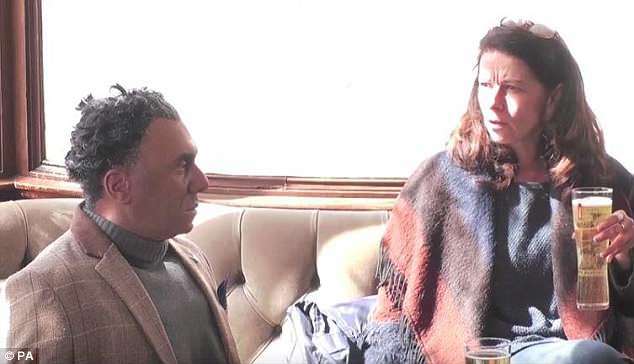 The robot, who was created to engage in natural conversation in real-time as a human would, responded to their shock appropriately with emphasised gestures and punctuated speech, voiced by a remote operator. 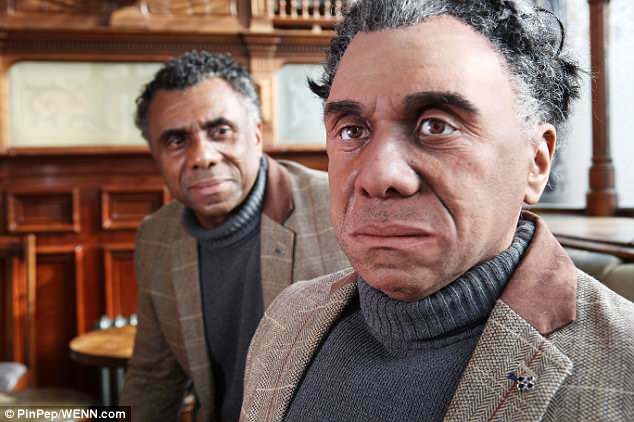 Mr Newell, 55, who the robot was modelled on, said: 'Seeing yourself in robot form is a very, very strange experience. 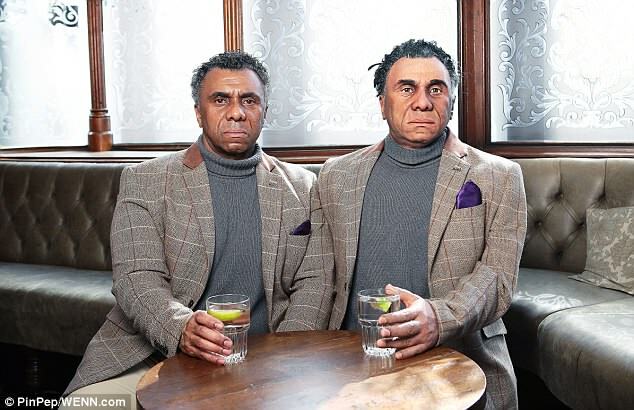 'I’m honestly amazed at how realistic they were able to make it look – you can barely tell us apart. 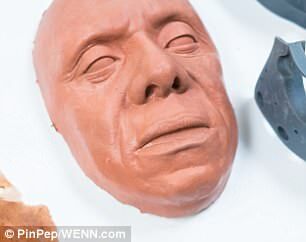 Fred was funded by streaming service Now TV to promote the return of dark science fiction show Westworld and was inspired by the show’s artificially intelligent 'hosts'. Emma Quartly, marketing director at NOW TV, said: 'We are still a long way away from creating artificially intelligent hosts as sophisticated as those in Westworld, but to celebrate the show’s return we wanted to give the general public a little taste of what is possible. 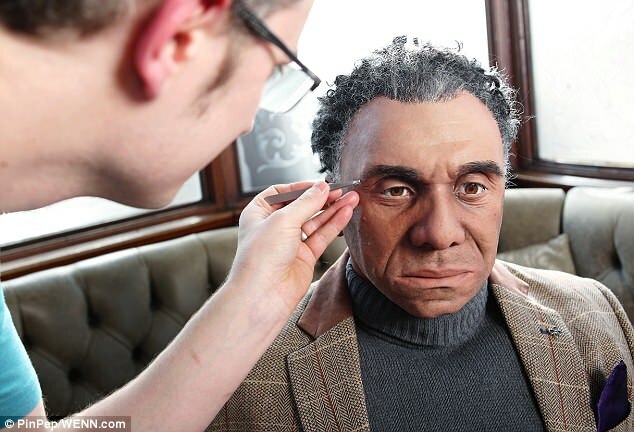 'Fred is the next generation in human-like robotics and so it seemed fitting to hand the show’s promotion over to him. WHAT DO EXPERTS SAY ON GIVING ROBOTS STATUS AS PERSONS UNDER THE LAW? The question of whether robots are people has European lawmakers and other experts at loggerheads. The issue first arose in January 2017, thanks to a paragraph of text buried deep in a European Parliament report, that advised creating a 'legal status for robots'. A group of 156 AI specialists from 14 nations has written an open letter to the European Commission in Brussels denouncing the move. Writing in the statement, they said: ‘We, artificial intelligence and robotics experts, industry leaders, law, medical and ethics experts, confirm that establishing EU-wide rules for robotics and is pertinent to guarantee a high level of safety and security to the European Union citizens while fostering innovation. 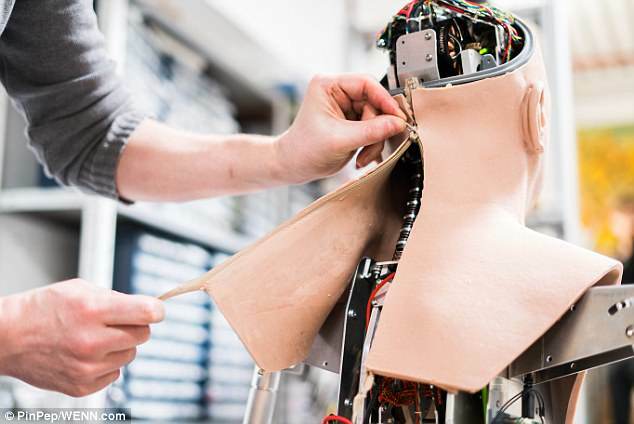 ‘As human-robot interactions become common place, the European Union needs to offer the appropriate framework to reinforce Democracy and European Union values. ‘In fact, the artificial intelligence and robotics framework must be explored not only through economic and legal aspects, but also through its societal, psychological and ethical impacts. 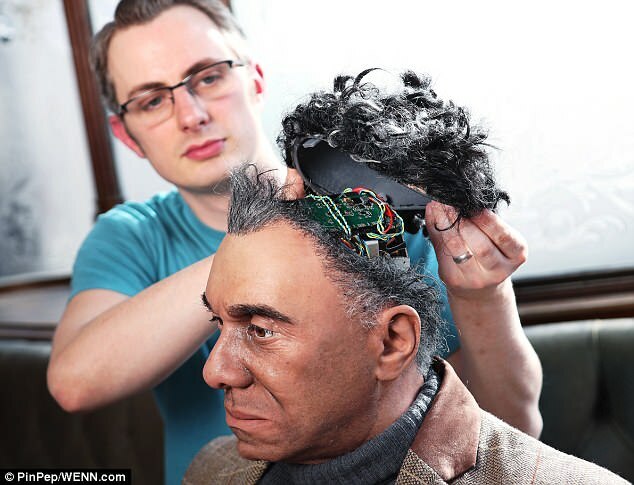 They say that the creation of a legal status of an 'electronic person' for self-learning robots is a bad idea, for a whole host of reasons. This includes the fact that companies manufacturing the machines may be absolved of any legal liability for damage inflicted by their creations. 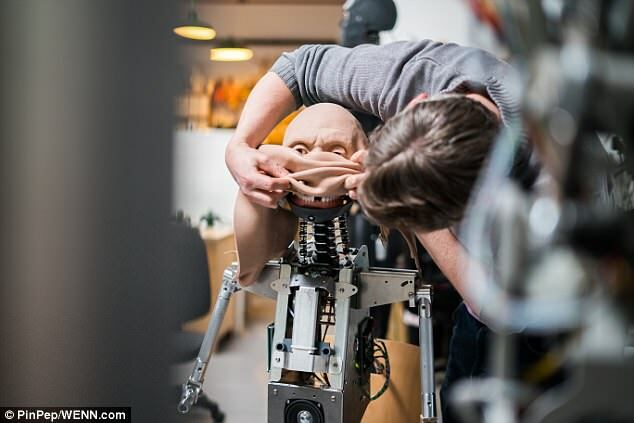 They added: 'Legal status for a robot can’t derive from the Natural Person model, since the robot would then hold human rights, such as the right to dignity, the right to remuneration or the right to citizenship. 'Consequently, we affirm that the European Union must prompt the development of the AI and bobotics industry insofar as to limit health and safety risks to human beings. He has argued that controls are necessary in order protect machines from advancing out of human control.